Parents often assume tuition will be on a one-to-one basis, and this is the most popular way. However, group tuition is also a great option and may suit certain children better than the traditional one-to-one way. Bright Light Education offer workshops with small groups of children that provides a quieter classroom-like feel where each individual is still able to have that personal help from tutors. Many children’s learning styles are unsuited to the one-to-one tutoring and prefer and benefit more from collaborative learning, working alongside others and sharing their great ideas. Small workshops are also more affordable for parents. We run workshops in comprehension, creative writing, non-fiction writing, maths, verbal reasoning and non-verbal reasoning as well as workshops dedicated to interview practice. How many children are in each workshop? Our 2-hour workshops have a maximum of four children taught by a qualified teacher. Our full day workshops have a maximum of ten children with two qualified teachers. We run our workshops in both Hanwell and Putney at various points throughout the year, during term time and during the holidays. How much do the workshops cost? Please contact us for more information about fees. How can I secure a place? To register your interest in our workshops and to find out more about when these are taking place, please contact us! Throughout the year, Danielle runs one-off 2-hour or full day workshops in Hanwell for year 5 and year 6 children who will be taking the 11+ examinations. Please contact danielle@brightlighteducation.co.uk for more details. 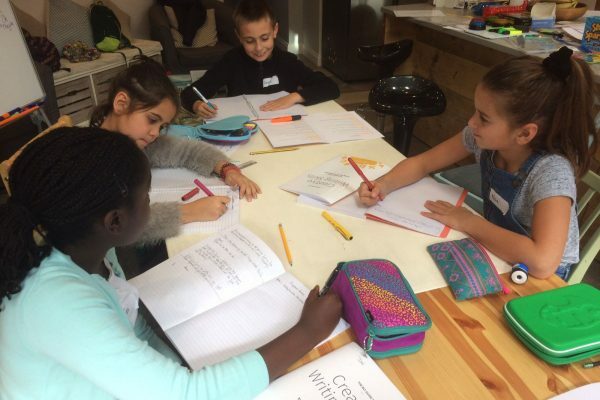 Throughout the year, Charlotte runs one-off 2-hour or full day workshops in Putney for year 5 and year 6 children who will be taking the 11+ examinations. Please contact charlotte@brightlighteducation.co.uk for more details.